What is it? The 4th film in the Transformers series that sees Mark Wahlberg as the new protagonist in a post Transformers 1-3 world where people who drive black vans are trying to kill off the Transformers and reverse-engineer their technology so that they can build a controlled army of Transformers for themselves. Goofy but courageous protagonist? Check. Hot blond in short shorts? Check. Racial stereotypes, sunsets, slow motion helicopters, tons of product placements and an incredibly long (2hr45) runtime that consists of overly long battle sequences with way too many explosions? Check, check, check, check aaaaaand check. 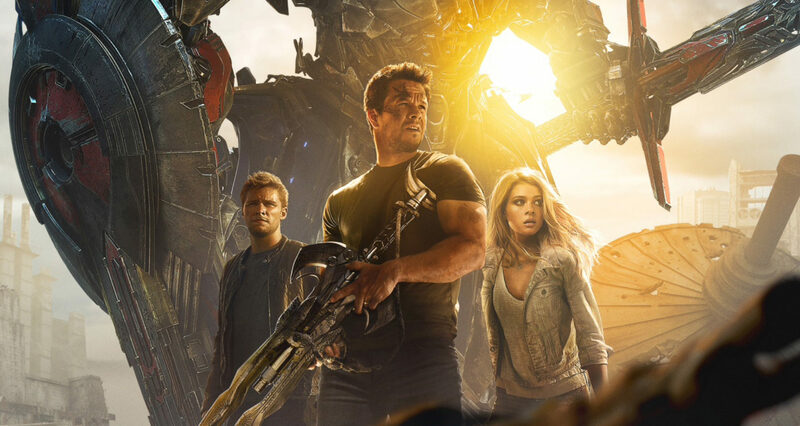 This movie also offers slow-mo cuts to sunset shots in the middle of daytime scenes (really) and characters that change accents every scene, but nothing screams blockbuster quite like a scene of a giant transforming robot riding on top of an even bigger fire-breathing robot Tyrannosaurus Rex. Yes. In short, if you’ve ever watched a Transformers film before, you know exactly what you are getting yourself into here. It has its fun moments and it’s great for decimating boxes of popcorn, but in the end, just like the last few… its not very memorable at all.